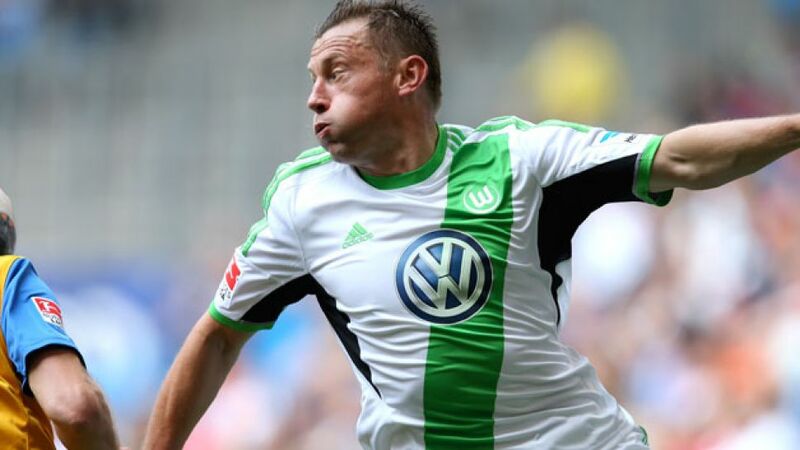 Olic: "Need to play to our potential consistently"
Hamburg - Never one to shirk a challenge, Ivica Olic is chasing an unambiguous target with VfL Wolfsburg, namely a return to the European stage with which he has become well acquainted over the course of his Bundesliga career. In contrast to last season, however, the veteran Croatian international forward would prefer both his and his colleagues' feet to do the talking this time. Speaking to bundesliga.com after the Nordcup mini-tournament, where Wolfsburg were beaten 2-1 by both FC Kobenhavn and Bundesliga newboys Eintracht Braunschweig, stressed the team's determination to take it "one game at a time" in the upcoming campaign. bundesliga.com: Ivica Olic, in light of the team's showing at the Nordcup, are VfL Wolfsburg's pre-season preparations progressing to plan? Ivica Olic: That actually looked pretty good for the most part. We enjoyed a lot of possession, but we were missing a bit of sharpness up front. But we still have a little time to refine that at the training camp, and get up to the level we were at towards the end of last season. bundesliga.com: The coaches put a lot of emphasis on fitness in the first few weeks back. Are there a lot of heavy legs at the moment? Olic: For sure. After a strenuous practice session, it's obvious to us as players that we're still a bit short of juice. That's normal at this stage of the preparations, but it'll soon change. bundesliga.com: The squad has been pruned back slightly from last season - does that make the training any more straightforward? Olic: I think it does. Still, we always have two teams out on the practice pitch. The coach has strengthened the squad here and there, and at the moment the training's going very well. We need to do a bit of fine-tuning over the next couple of weeks and then we'll be ready for the start of the season. bundesliga.com: Wolfsburg made a poor start last year, but improved a lot over the second half of the season. Is that something to build on? Olic: We took a big step forward over that period and put together a ten-game unbeaten run. Not many teams manage that and it demonstrates the great quality we have at our disposal. But we need to play to our potential consistently and feed off our own good performances. We had a lot of unlucky draw, so if we can start winning those matches from now on, I think we'll have nothing to worry about. bundesliga.com: There's no talk this time around in Wolfsburg about the Europa League, never mind the Champions League. Is that a good thing? Olic: Absolutely. We've learned from last season and we're really going to be taking it one game at a time. That's something we're all agreed on. bundesliga.com:First up in the Bundesliga is a local derby at Hannover 96. Is it fair to say that's a game that can set the tone for what's to follow? Olic: It certainly won't be easy. I remember very well how our last trip to Hannover played out in January. We put in a really good performance but lost 2-1. If we don't play as well this time but come away with the points, that'll do me just fine. Everyone knows what a confidence-booster a win like that can be for starters.